The photo was from the Standard News, the in-house company newspaper dated May 1959. 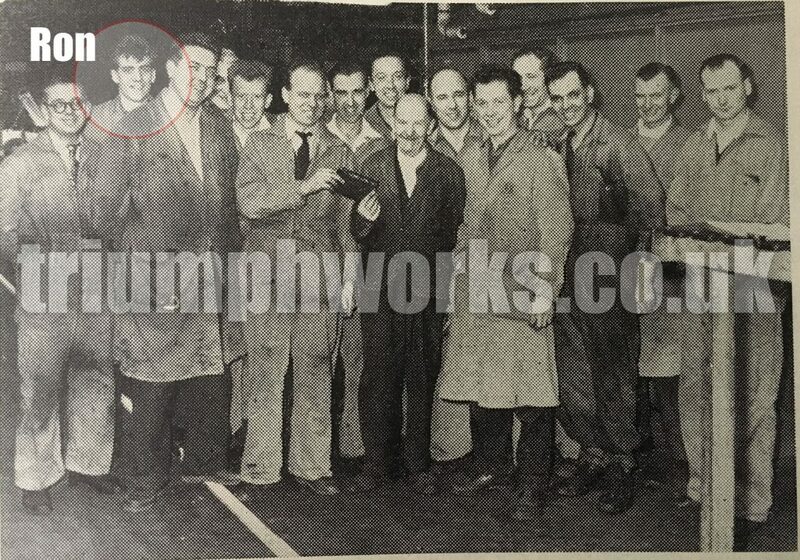 The subject is Fred West and Fred was 69 and for six years worked as a sweeper in the section. He retired Easter 1959. Handing over the retirement gift of a wallet and £11 is Shop Steward Jack Griffin. 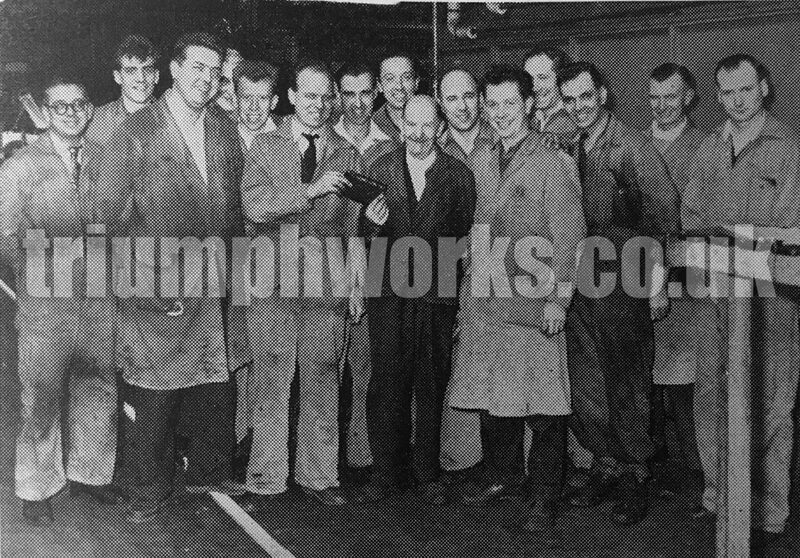 Ron is 80 this year and remembers his time at Standard Triumph very fondly.